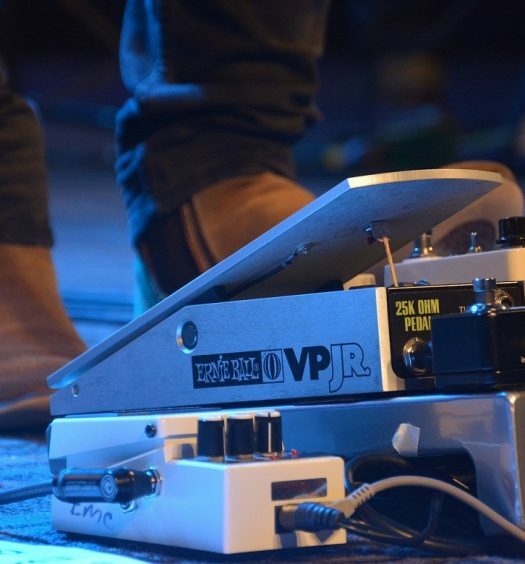 Looking For The Best Chorus Pedal Of All Time? 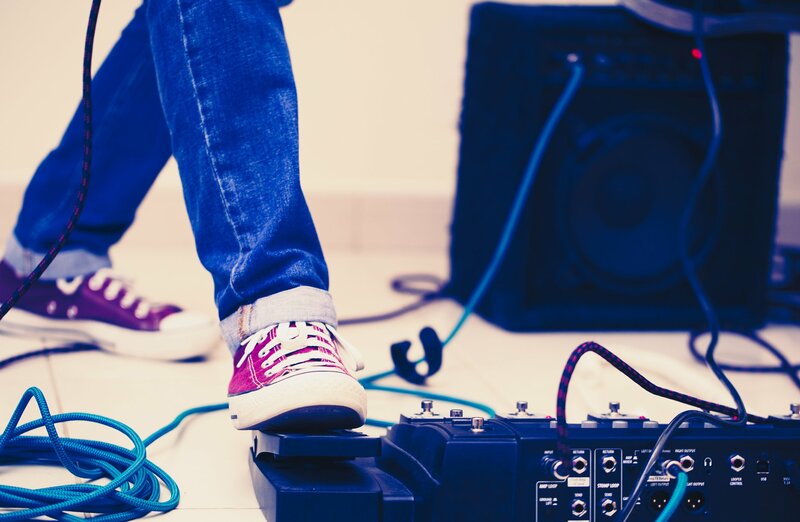 Many guitarists have a love – hate relationship with chorus effects. There are so many cheap sounding chorus pedals out there that a lot of guitarists don’t realize how great chorus can sound when it’s used effectively. 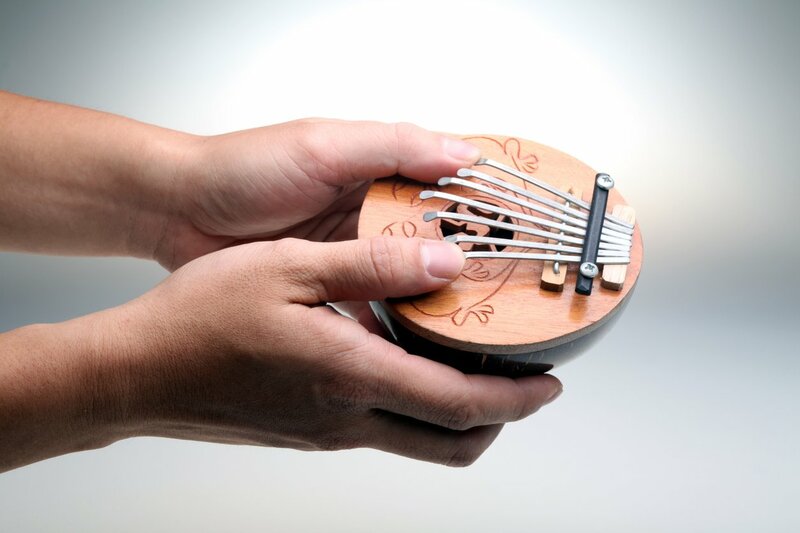 There are also a lot of guitarists who have excellent chorus pedals but they use them incorrectly. 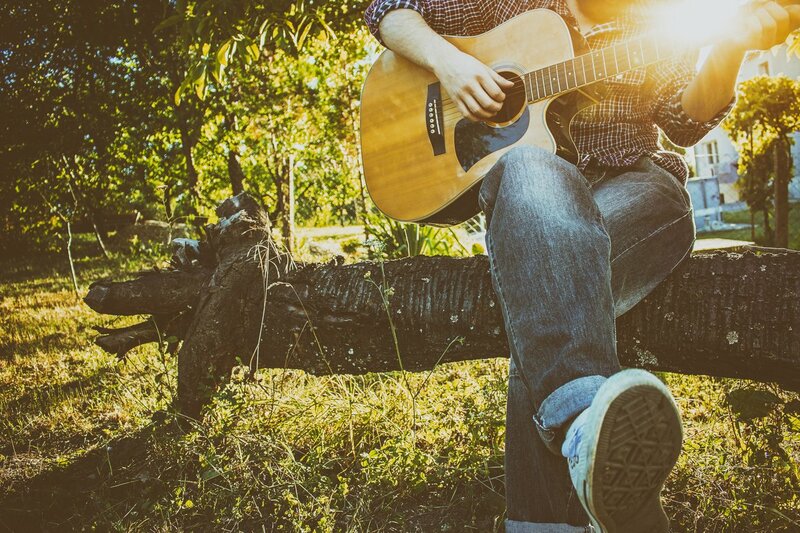 Musicians who are new to the chorus effect typically end up adding to much wateriness to their guitar output and they create a very sea sick sounding tone. However, when chorus is dialed in correctly, it adds a lush undercurrent to your tone that many guitarists find irresistible upon learning how to use it properly. 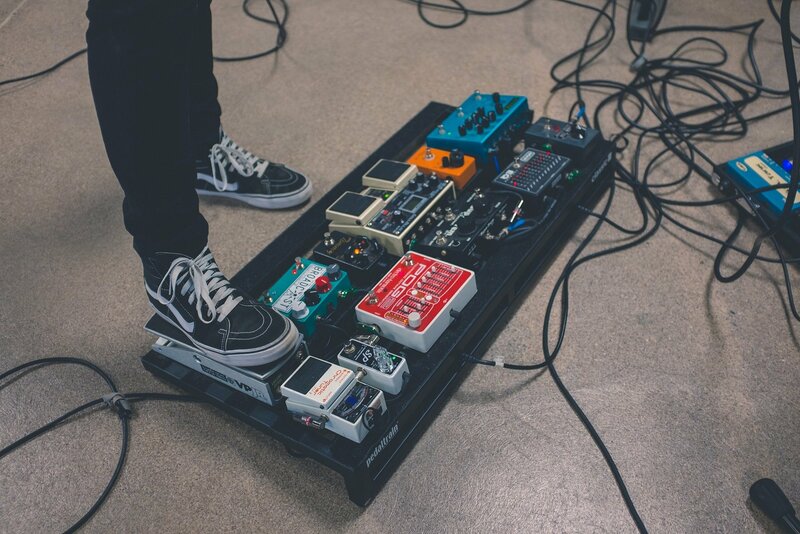 We’ve selected the most versatile chorus pedals you need to dial in luscious classic rock tones from the 60’s & 70’s, as well as the over the top chorus tone of the 1980’s. Due to the popularity of the classic uni-vibe pedals that gave Hendrix his classic sound, many modern chorus pedals are chorus/vibrato so we’ve included several of those on our list, along with some very popular units that are strictly chorus only pedals like the infamous Boss chorus pedals. 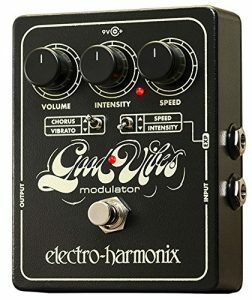 Our top choice is the EHX Good Vibes Modulator which is basically EHX’s answer to the popular MXR Uni-Vibe pedal. However, the EHX Good Vibes Modulator has an expression pedal input which makes it superior to the MXR Uni-Vibe for our purposes. Visually, the Electro-Harmonix Good Vibes just has beautiful art and a catchy name. The Good Vibes pedal features not only an expression pedal input, but also a switch to set what that expression pedal controls. This is a feature rich chorus and vibrato pedal that can handle all types of chorus effects from classic rock to 80’s metal. 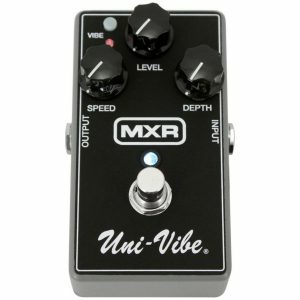 A close second is the MXR M68 Uni-Vibe Chorus/Vibrato which is based off of the classic Uni-Vibe pedal made famous by Jimi Hendrix and other guitarists from that era. Even though it lacks an expression pedal input like the EHX pedal, and the cool artwork, the MXR Uni-Vibe arguably has a better classic rock sound depending on what tone you’re after & takes up less space on your board. 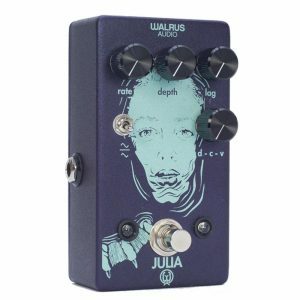 Walrus Audio’s Julia is one of the greatest chorus pedals to come out in recent years. 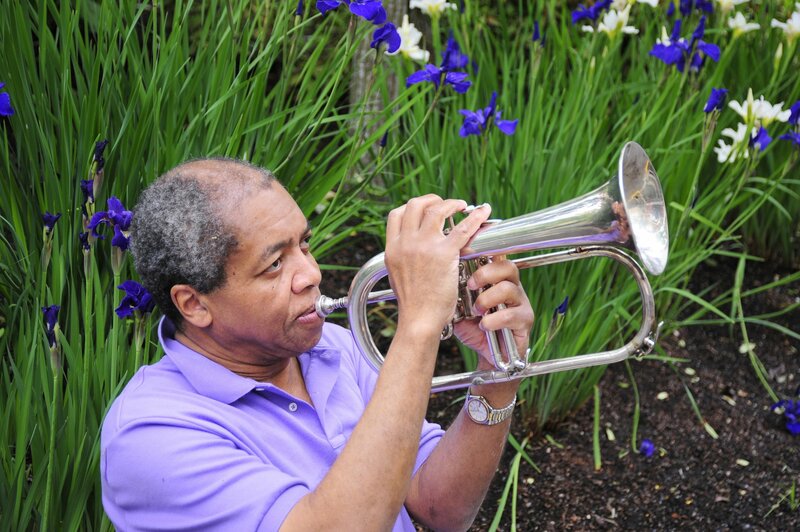 The Julia produces high end, rack level chorus effects as well as vibrato in a compact package. The Julia is good for more experimental music because you can dial in some truly sea sick sounds with this pedal, as well as tame traditional chorus tones. 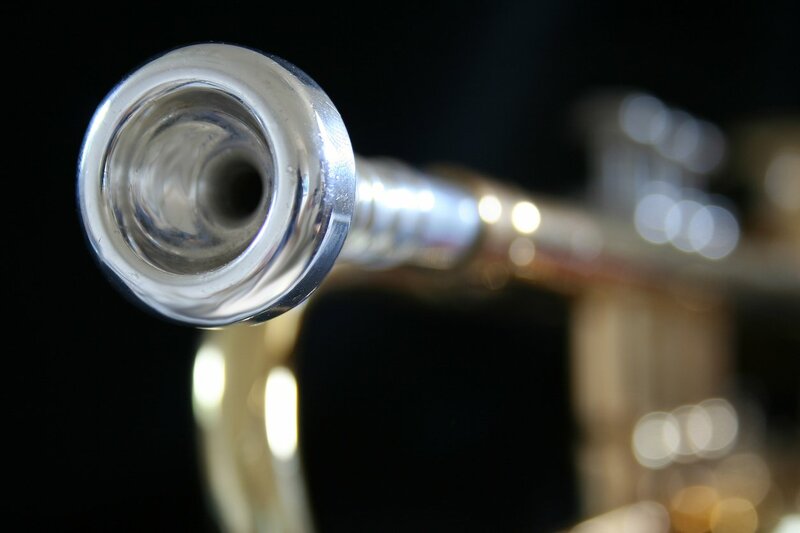 In addition to a host of extra features like the ability to control wave form and lag time for added depth, the Julia also features one of a kind artwork. Alright, that’s plenty of options for chorus & vibrato dual pedals, now let’s take a look at some chorus only pedals. If you’ve never heard of it, the Boss CE-2 has become infamous as one of the best chorus pedals ever made. 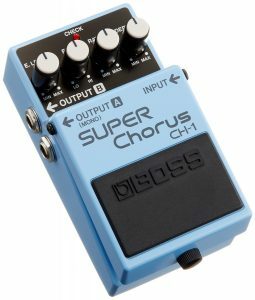 However, there’s a catch because they’re hard to find since they’re no longer produced unless you count the remake known as the Waza Craft Boss CE-2W Chorus Pedal. That’s why we have chosen the Boss CH-1 on our list instead because they’re more practical, affordable, and still offer all the same features from the CE-2 like stereo outputs. 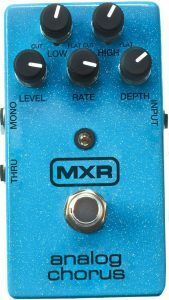 Last up is the MXR Analog Chorus, which is like the MXR Uni-Vibe except the chorus has a different character, there’s no vibrato, and you cut either the low or high frequencies to your liking. If you’re looking for just a stand alone chorus pedal with no extra features, then the MXR Analog Chorus might be best for you. Like the name implies this pedal is completely analog, so the tone is extremely transparent leaving your original dry signal intact.